Today there is an urgent necessity to pay for things in various industries like e-commerce shops, SaaS companies, services like Uber and many others. When users make transactions quickly and they are not redirected constantly to other websites, your services can be considered a well-established regardless of whether it is a web or mobile app. Moreover, redirection is often a cause of rejections and failures in payment processing. If you decided to add a payment platform into your web or mobile app, we would like to advise you on possible alternatives of methods of payment online as well as about the advantages and disadvantages of some ready-made solutions. Let's draw our attention to Stripe, Braintree and PayPal payment platforms since they are leaders in the present-day market. A payment system is a software used for payment processing on the Internet or through mobile apps. It acts as an interface between a website or a seller's mobile app. A licensed bank-member of Visa/MasterCard as a subsidiary bank can process transactions with credit cards for an online business. As a rule, a payment system is used for different payment methods, but we suggest using credit card payments as an example. Payment gateway - the right way to integrate it. 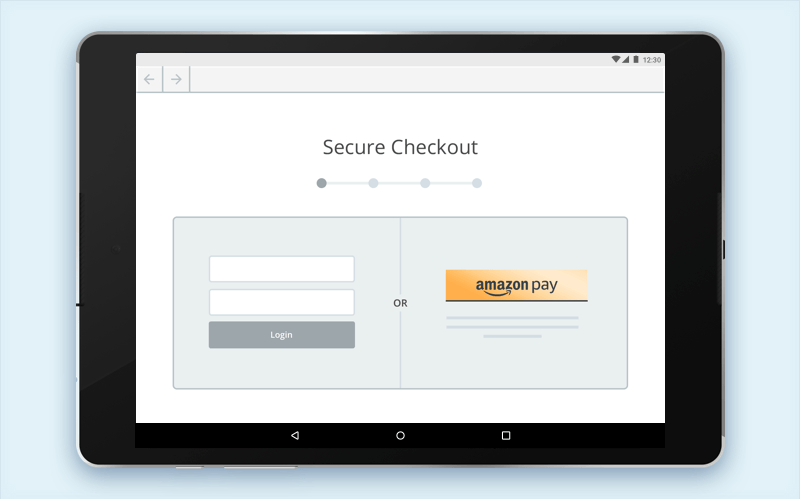 Read How to integrate payment gateway into an app. A payment system encrypts confidential credit card data to guarantee that the confidential information is transferred reliably between the user, seller and acquiring bank. Payment systems play an important role in the performance of transactions performing as well as in payment authorization between the seller and purchaser. And they can serve both as online payment methods for small business and large business. A browser protects data transferred from the user to the provider's server. Then the system delivers data about the transaction of the payment process used by the acquiring bank. The system transfers data about the requested transaction to the issuing bank. After this, an authorization request is confirmed or rejected. Once the payment system receives a reply to the request, it transfers the request to the website or mobile app to process different methods of payment. Actually, this process lasts only for a few seconds. It is not as long as its description. Apart from payment processing, payment gateway providers perform other functions as well. They perform protection against fraud by verifying the recipient's address, verification of the address of a credit card holder, geolocation identification, and verification by scanning fingerprints etc. Those who are familiar with e-commerce can note that the main goal is not only to identify what payment platform is better but also determine other factors you should consider to understand what platform will better fit your demands. Let's check particularities of some of them. Braintree will be the first on our list of payment gateway comparison. PayPal purchased Braintree in 2013. One of the main problems with PayPal was in a redirection of the user from the seller's website to the PayPal server, and it required the user to be a registered service user. It was a reason for discontent from both parties, so the purchase of Braintree solved the problem. Online payment platform Braintree provides developers with SDKs and adjusted API interfaces in six programming languages as well as with ready-made solutions for baskets. 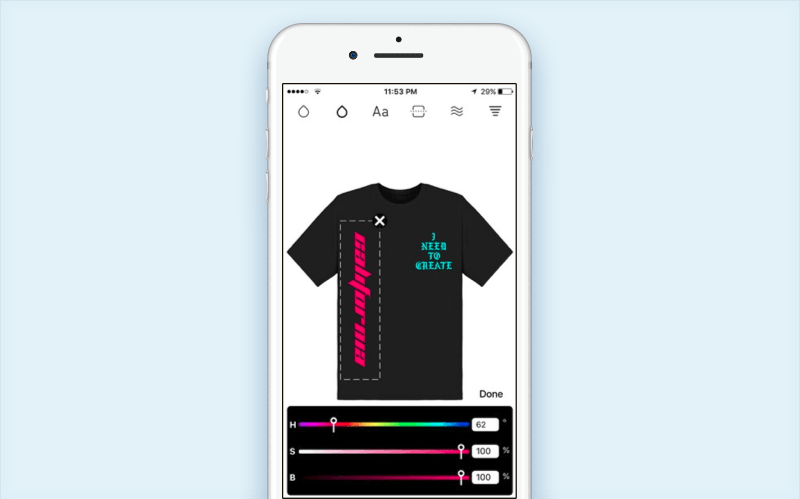 PayPal's Commerce feature, that was launched recently, means that dealers can integrate Purchase buttons into such apps like Pinterest or Facebook Messenger. Stripe's Relay feature may look similar to it. Braintree also has a phone support that is available for all customers. Braintree doesn't charge a monthly payment for processing payments either. It charges a commission for a transaction at the rate of 2.9% from transaction amount plus 30 cents per transaction. Braintree provides users with a special offer where your commission will be covered starting from $50.000 you processed. If the amount you process exceeds $80,000 per month, you can get a discount. If you receive PayPal via Braintree, you have no Braintree charges, but you will get PayPal payments. If you receive Bitcoin via Braintree Coinbase option, your first processing in Coinbase with an amount of $1 million is free. After this, you will pay 1% of commission for conversion and 0.15% of the fee. Some of famous clients of Braintree online payment gateway are Airbnb, Dropbox, Uber, Casper, Yelp, and others. PayPal can become a good alternative to other integrated payment systems in your web or mobile app. Of course, it can be integrated as the main solution, however, a lot of brands consider it as an alternative since some users don't want their credit card data to be stored on each trading platform where they made an order. PayPal is supported by all platforms. Since PayPal makes redirections to its website, you don't need a payment gateway integration. In case you want to add PayPal Express, redirection will be skipped, and Express API will submit all required information. Also, there is no necessity to pay a subscription fee. A standard rate is 3.4% plus 30 cents for a transaction. If the amount you receive monthly exceeds $3.000, you will be able to apply for PayPal Merchant Rate that reduces your fees when you increase sales. Thus, you can pay 2.4% of the standard rate depending on sales for the previous month. So, this is how payment gateway works. 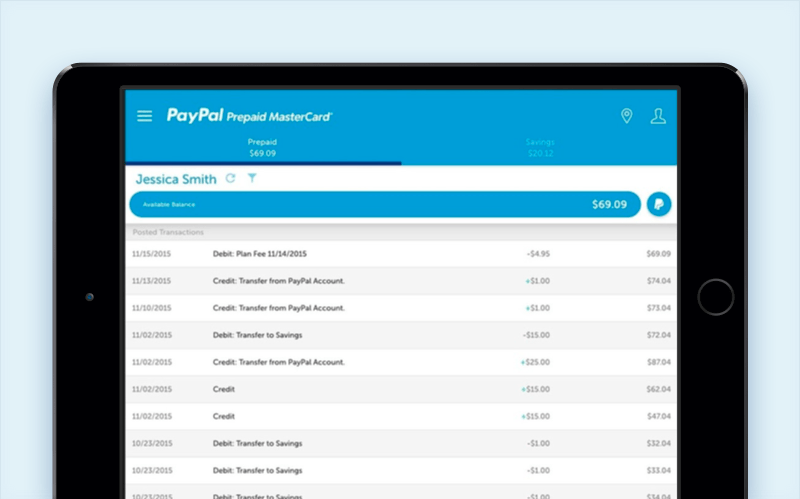 Famous PayPal clients are Walmart, eBay, Adobe, and others. Processing payments in Stripe is conducted via its own servers. Therefore, there is no necessity to store confidential data and think about its compatibility with the PCI. Stripe's system verifies fraud on its own. Stripe offers libraries to developers in six programming languages from Java to Go as well as many community libraries. It is worth noting that Stripe has many third-party integrations that don't require development skills, hosting or complicated adjustment from your side, like Shopify does it, for example. There won't be redirection for customers from your website. Verification will be conducted on the computer and optimized for mobile devices. 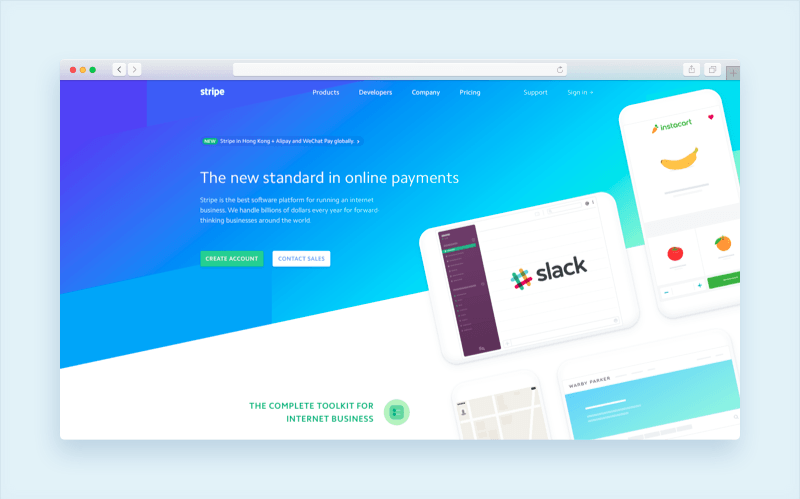 In 2015, Stripe added a Relay product that allows developers to create a Purchase button in the third-party apps like Facebook, Pinterest, and Twitter. Also, only Stripe allows users to receive payment via AliPay. Stripe offers a standard fee to all users - 2.9% from each transaction plus 30 cents per transaction. It also provides discounts for enterprises that receive more than $80.000 per month. Also, Stripe allows users to make Bitcoin payments up to 5 bitcoins per day that equal to $625. This service also charges 0.8% from the transaction amount. Famous clients of Stripe are Lyft, Instacart, Postmates, KhahAcademy, and Grab etc. In addition to these top payment gateways, some other payment platforms are available to use in your software. The difference is that Braintree, PayPal, and Stripe are much more popular. They support many types of currencies and function on almost every operating system. While other alternative platforms are orientated for European countries or provide users with services only for specific brands like Amazon Payments, for example. WorldPay is one a well-established payment system in Great Britain and it is considered to be one of the most popular online payment methods in the UK. It processes about 26 millions transactions per day. WorldPay offers open API to developers for integration and support, including detailed documentation. Having an integrated payment system, you can monitor transactions data in a real-time mode, and you can manage your orders and refund them in one click. WorldPay charges 2.75% and 20 pence per transaction. Generally, this option may seem outdated in an interface and considering the model of price formation. So we have the following tip for you: check all conditions of how this payment gateway working before you apply for this alternative. 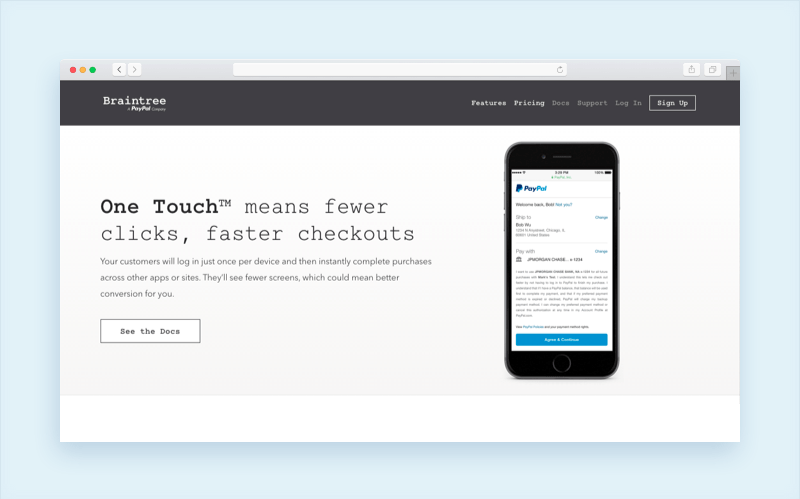 This web and mobile payment gateway works similarly to PayPal, redirecting users to its service. The advantage of Amazon Payments is that users can get access to delivery options, it refers to a particularity of Amazon.com. Client database of shops in Amazon may speed up your verification process and it will lead to a larger number of conversions. Amazon charges 2.9% plus 0.30 dollars per transaction. Amazon Payments doesn't offer any contract to sign, so you can close your account whenever you want. The Dutch payment system Adyen is in demand in Europe and it is ranked a high position among other payment gateway solutions. It allows users to pay with the help of a reliable API for card payments processing, charging a fee for subscriptions or recommending system integration into an e-commerce network on a mobile app. Adyen also states that they have many famous clients. 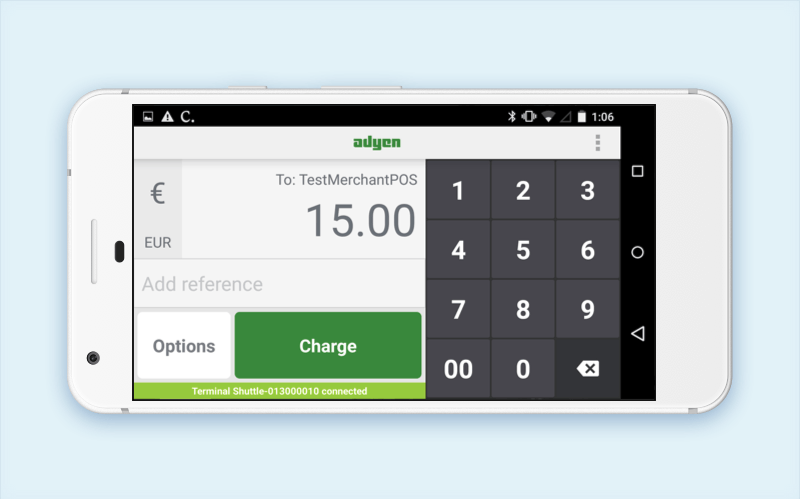 The pricing model of Adyen is more complicated than other payment platforms though. Processing payments start from 0.080 to 0.10 EUR. There is a payment commission at the rate of 0.48% - 0.60% considering the method of payment you choose. That is how we did an online payment systems comparison. You can choose a payment gateway that is really applicable for you in your specific case. The integration of payment systems is not a new experience for our company. We've integrated such payment systems like PayPal and Stripe. Moreover, the development process is not very difficult, especially when you immerse in it. 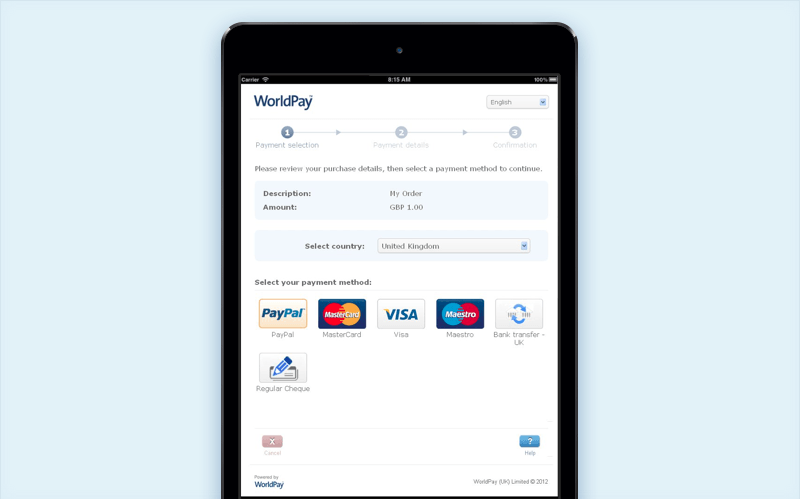 For example, in Shirt app we had to integrate two payment platforms at once - PayPal and Stripe. 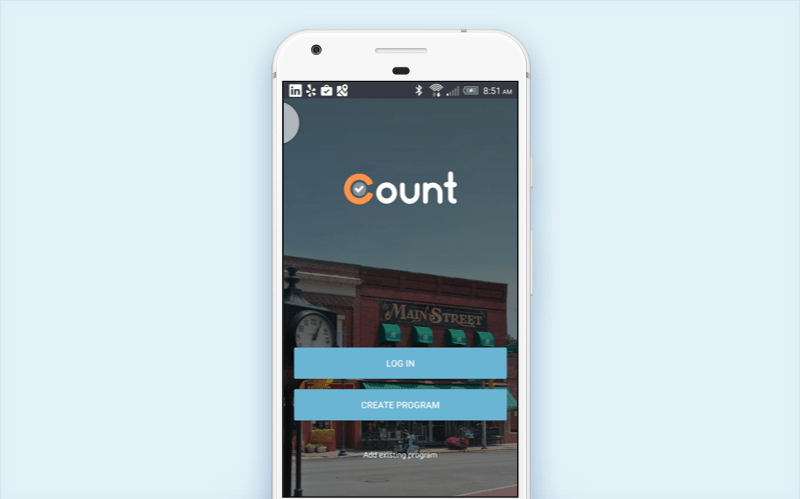 In Count for business app, we only had to integrate Stripe, but payments are made via the server. 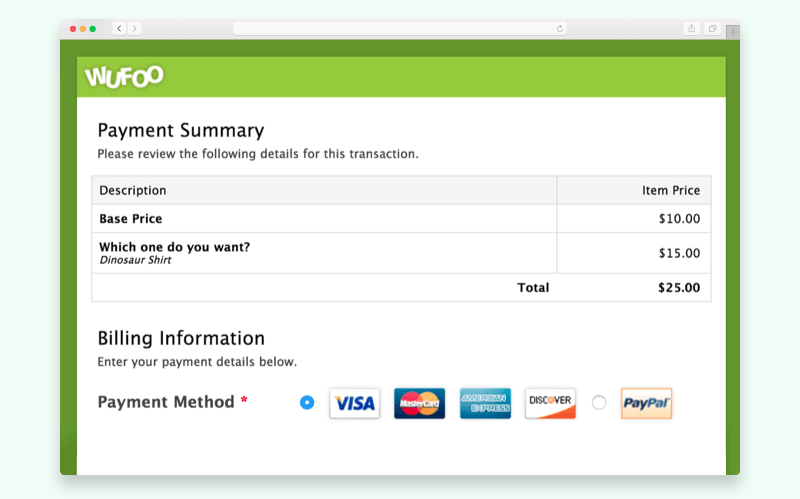 Stripe can assist you with any payment type - from e-commerce to issuing periodical invoices. The use of additional plugins submitted by Skype also helps automate the registration process and users' authorization, as well as create a manageable account or connect to accounts. PayPal also has many ready-made libraries that you can easily integrate both as separate elements or a whole open source payment gateway into your website or mobile app. The integration of Stripe or Braintree can be the wisest solution. Since Braintree is interconnected with PayPal, it will allow you to kill two birds with one stone - users will be able to make PayPal payments in addition. Or you can make use of our experience, compare payment gateways and integrate a few payment systems into your website or app if needed. Stripe and Braintree are similar in price formation and in the features they offer. But depending on your specific requirements, you will be able to choose the platform that meets your requirements. As an option, you can move away from the classic system and use alternatives that are represented in the European market like WorldPay or Adyen. Contact us and subscribe to our blog! How to integrate a payment gateway into your app?